Ahh, what to say about Amsterdam? Brandon and I fell in love with the city. It was my grandma's third time there, and she guessed it would probably be our favorite trip. She was right :-) We took the high speed train, which ended up not being very "high speed." There were a bunch of technical problems and we arrived two hours later than we should have. We checked into our hotel and my friends Kevin and Finn met us in the lobby. I've known Kevin since middle school and we both discovered that we would be in Amsterdam at the same time so we made it a point to meet up! 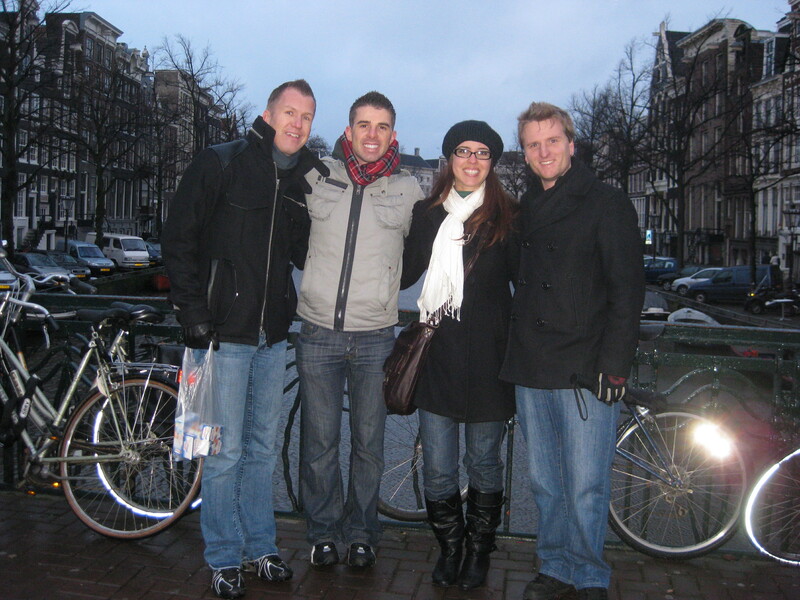 Finn grew up in Amsterdam and speaks dutch fluently, so we felt so lucky to have him show us around. After a few hours they had to go, so they walked us to Anne Frank's house (we had a tour reserved at 5:30 pm) and we said good-bye. Anne Frank's house was a very moving experience. We got to see the secret Annex that the Frank family lived in for two years while hiding from the Nazi's. It was very surreal for me. 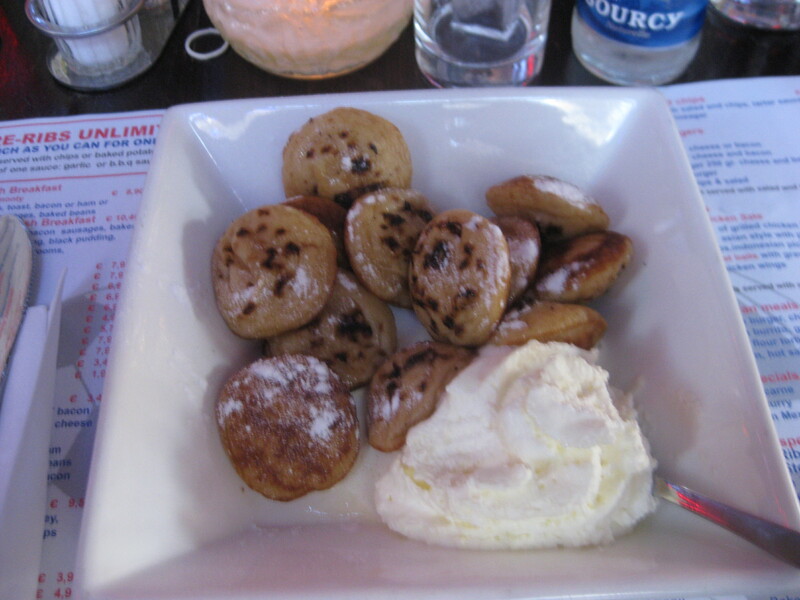 The next day we woke up early and had breakfast and discovered poffertjes!!!! They were truly amazing. They are similar to mini-pancakes but they are more doughy. They come with powdered sugar and whipped cream. I could live off of them. 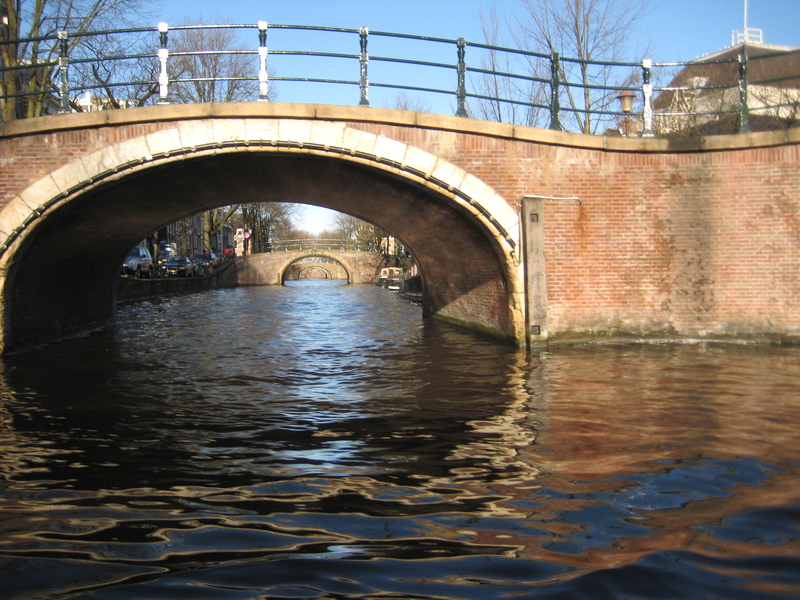 After breakfast we went to take a canal boat tour of Amsterdam. It was amazing to see the city from a different perspective. 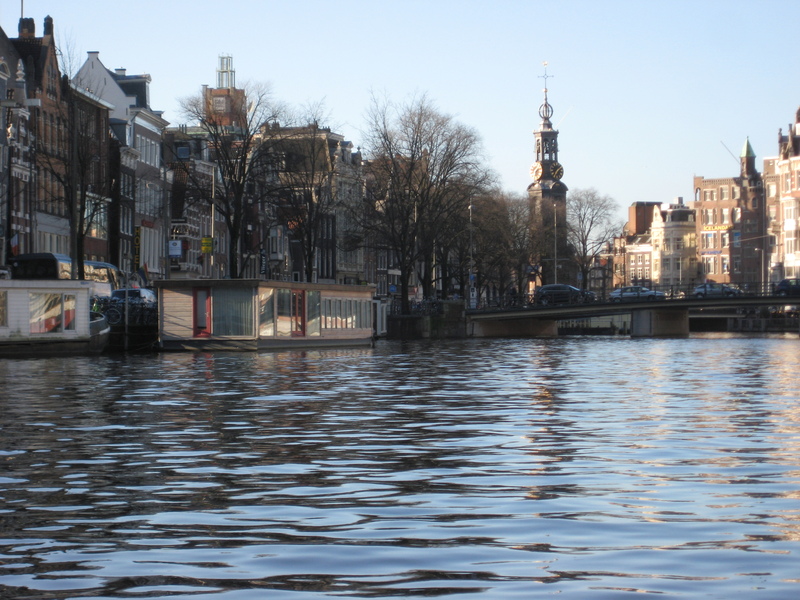 Amsterdam is such a beautiful, old city with a lot of history. 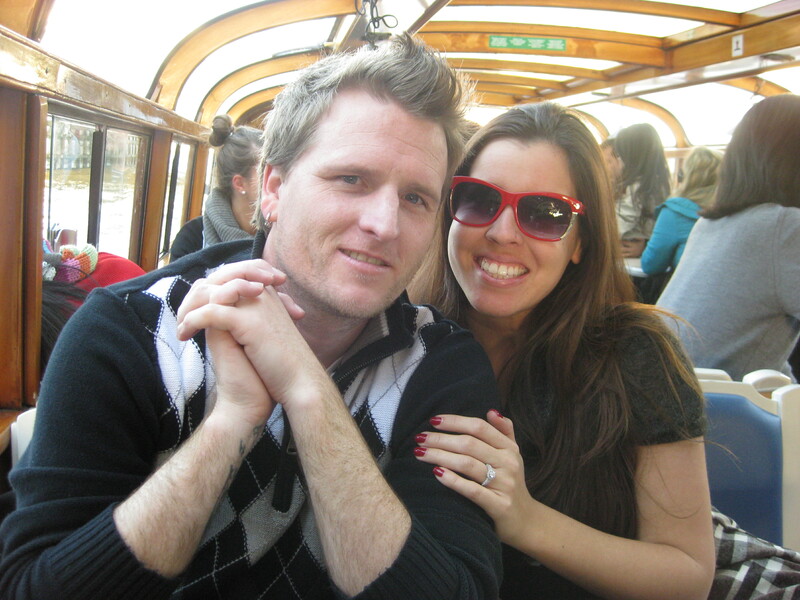 Here is a picture of brandon and I on the canal boat, and a few pictures we took of the city from the boat. After the canal tour, we took the metro to the VanGogh Museum. I was so excited to see so many famous paintings in real life! We paid for the earphones so we could hear about each painting and the stage that Vincent VanGogh was in while he was working on each one. Poor guy, was very troubled. We got to see a few of his famous paintings such as the sunflowers, and his bedroom. But Starry Night was out on loan to another museum, so we missed that one! After the VanGogh museum, we ate lunch and headed to the Heinken Experience. Brandon had heard so much about this from friends of his, so we had to do it. It was basically a really fun tour of the brewery. We got to see how the beer is made, and then have a few afterwards. Neither me, nor my grandma are huge beer drinkers, so after having a sip, Brandon got our beers as well. 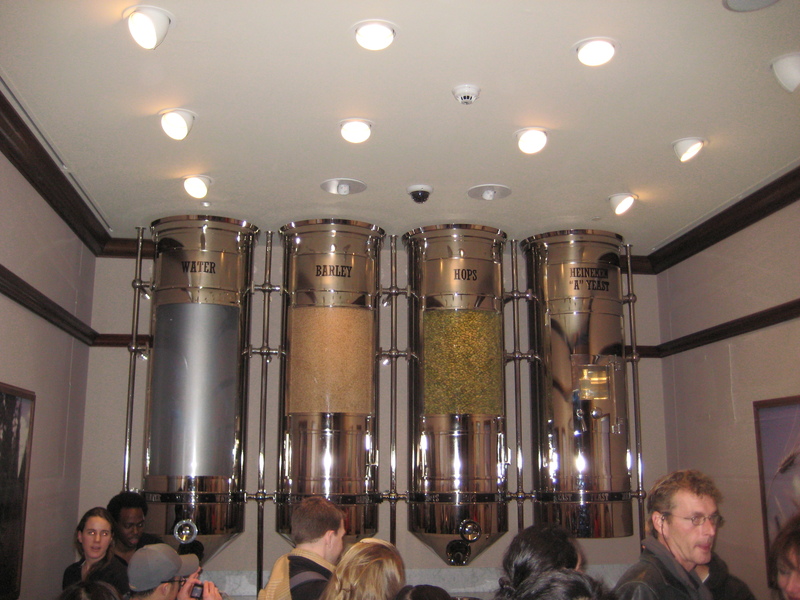 He was a happy camper :-) Here is a picture of the four main ingredients in Heineken: Water, barley, hops and A yeast. The next day we had the dutch pancakes again and walked around a bit more. There were soooo many things that we didn't have time to do, and we vowed that we would come back :-) We took a tour of one of the oldest canal houses, I believe it was built in the 1600s. 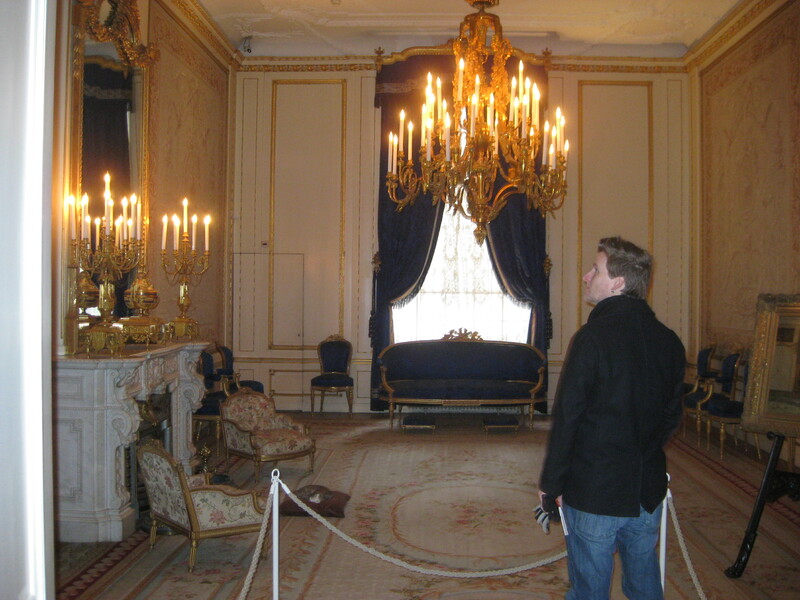 They turned this wealthy house into a museum and it was interesting to be able to walk around inside. After that, we had to head back to the train station! It was definitely too short of a trip!